From mobile phones to home appliances, the Automatic Screw Locking Machine designed by Huizhou Shengyang Industrial Co., Ltd has its important applications. One may find it difficult to understand that a perfect screw locking is an important requirement in the production process of different types of products, such as mobile phones, home appliances, medical devices, computer parts, and other types of electronic items. A manual screw tightening process may not give the perfect result, particularly if the product is very small in size with a very narrow space to maneuver one’s hands while trying to locking of tightening a screw. The issue can be addressed by using the Automatic Screw Locking Machines supplied by China based Shengyang Industrial Company. The company designs and develops automatic screw tightening robots and machines that can work on all types of screws made from different materials. The company specializes in the Automatic Screw Locking Machine that can overcome the challenges that one may come across while using a manual way of screw tightening. The machine comes fitted with a small screwdriver that can easily work in small and compact spaces of a device. The screwdriver is light in weight while can make a perfect grip on a small to miniature screw for a perfect locking. The machine is designed to operate in a speedy manner and it makes only a small noise while operating. 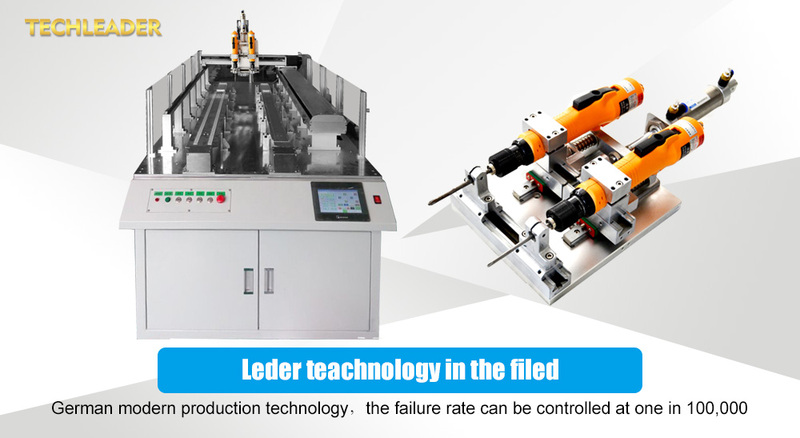 With its automatic function, the machine can save time and money of the companies. Instead of hiring several workers, a company can use a couple of screw tightening machines to complete the task in a fast and reliable manner. The automatic screw tightening machine comes fitted with an intelligent alarm system that helps in the counting of the locked screws and completes the work in a reliable manner. Huizhou Shengyang Industrial Co., Ltd deals in different types of automation equipments for the electronics manufacturing industry. Besides, screw tightening machines and robots, they also develop the Automatic Welding Machine that can be used for welding different metallic components used in the electronic products. The machine offers a cost-effective and reliable option of welding small components of an electronic item without any difficulty and with perfection. The spokesperson states that several components need to be perfectly welded in different electronic items. They have designed the welding machine that can make the task of the workers easier and hassle-free. The machine can operate in an automated manner and can complete the welding task without any fuss. The company focuses on research and development to help design automation equipments that ensure an easy operability and which also reduce the intensity of the manual labor. All machines are designed by following a strict quality control policy, and they are also open for OEM manufacturing of machines as per the demand of a customer. Further details about the machines are available online on their website https://www.automaticchina.com/. What is the matter with noise of the automatic locking screw machine?